Have you ever wanted to make your child’s holiday even more special? 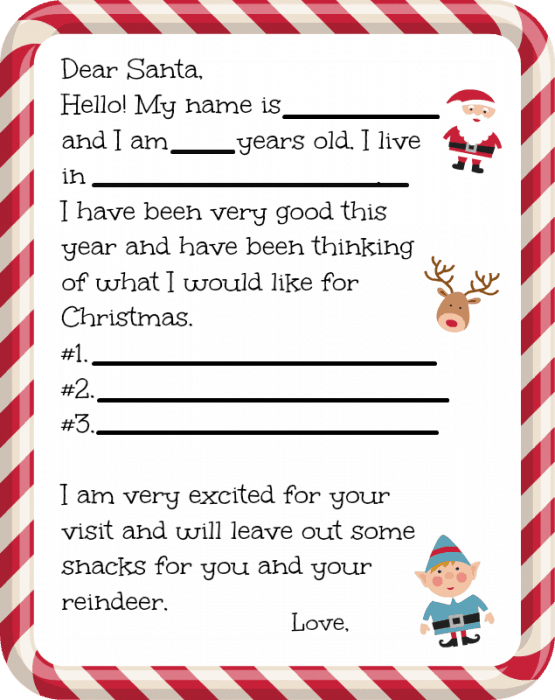 Now you can with this Dear Santa Letter for Preschoolers Printable. I’ve made it super easy for you to print out and for your child to fill it out on their own. Remember we should make everything easier on ourselves not harder. Your kids can even fill out what they want for Christmas. I think it is fun to ask your kids what they want for Christmas, even if you don’t get them 100% what they want. Most of the time the kids forget what they wrote down anyways. I love to do activities with the boys around the holidays and I plan on adding this to our yearly tradition. 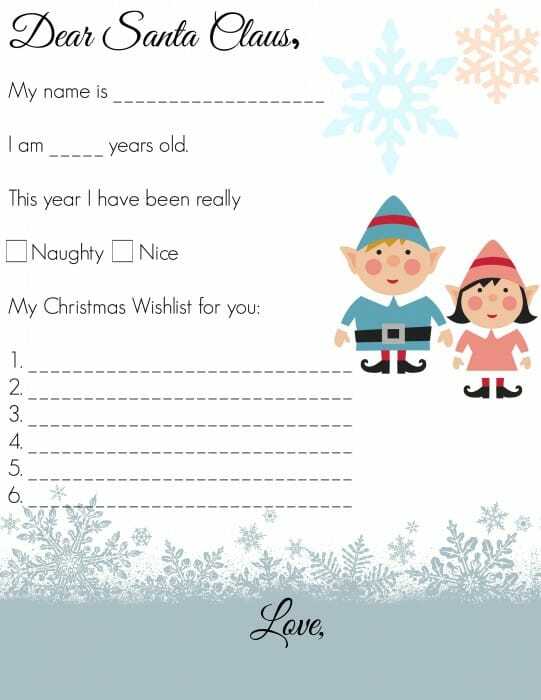 Click the picture above or the link below to start your free Dear Santa Letter for Preschoolers download. You might enjoy these other Dear Santa Letters as well! These are such cute ideas for preschoolers! I remember the days of writing letters to Santa. Those were fun days! SO cute! My newphews would love these– going to have to send them to their Mom! These are too cute. I am teaching the girls to write a letter to Santa. They’ll love these printables. Those are great starters for kids. We’re almost out of time too, so they need to get those letters written. I remember writing letters to Santa myself. I miss the days when my oldest was younger and wrote his letters. 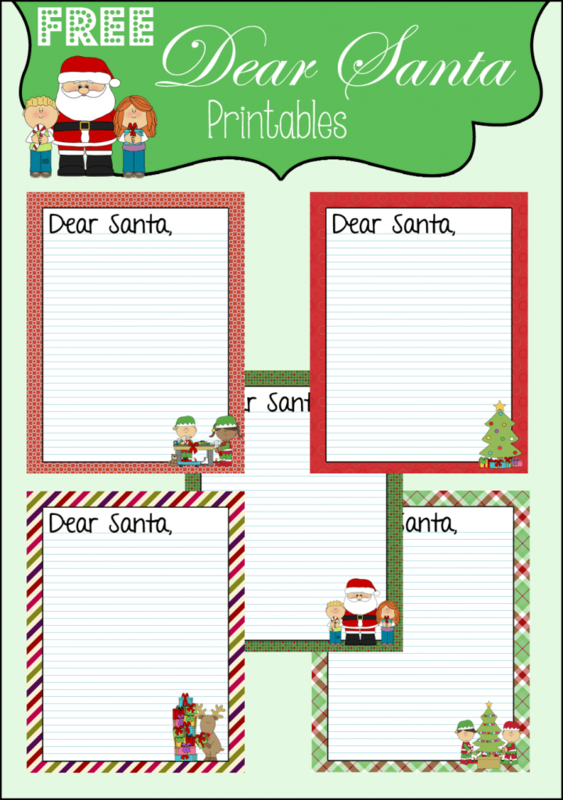 These are such cute holiday printables! I should save them so I have them for next Christmas for the kids! Oh, these are so cute! I do love a free Christmas printable! This is so cute – I printed out the first one. Thanks for sharing.